Editorial Note: Florida is one of the most Jewish states thanks in part to the many Jewish retirement communities there. 3.4% of Floridians are Jewish according to the 2011 survey. Historically, Jews are very politically engaged and turnout to vote at higher rates than gentiles. For example, in 2008, Jews represented 4% of the vote in the general election. Nate Silver wrote in The New York Times’ 538 blog last night that there is little evidence supporting claims that Jewish voters in FL are switching their support to the Republican Party. There has been some speculation that Democrats could struggle to hold the Jewish vote in 2012…. But there is no sign tonight of Jewish voters switching their registration over to the Republican side in Florida. According to early exit polls, just 1% of voters in tonight’s Republican primary identified as Jewish. That’s down from 3% in the Florida Republican primary in 2008, which also might mean that Jewish Republican voters in the state are not terribly enthusiastic about this group of candidates. For all the campaign attention paid this past week to Israeli politics and-towards the end-Mitt Romney’s handling of kosher meal budgeting in Massachusetts, few if any Jews appeared to vote in the Florida GOP primary. The answer to this question is now clear: a resounding no. According to exit polls only 1% of Republican voters were Jewish – that’s not more but rather less Jewish voters than the number of 2008. … I don’t know how Tuesday’s results could be interpreted in ways favorable to Jewish Republicans. Clearly, the Jews of Florida aren’t moved by the candidates, they aren’t moved by the party, and they aren’t moved by Obama’s policies – not enough to switch party registration and vote for their candidate of choice. Exit polls could not provide data regarding the split in Jewish votes between Romney and Gingrich but it is largely believed that Romney had a stronger showing among Jewish Republicans. His supporters in Florida put together three events in recent weeks and all were well attended. What exit polls do show, however, is that only 1% of Republican primary voters identified as being Jewish, down from 3% in 2008. That means there was no shift of Jewish voters to the Republican side. 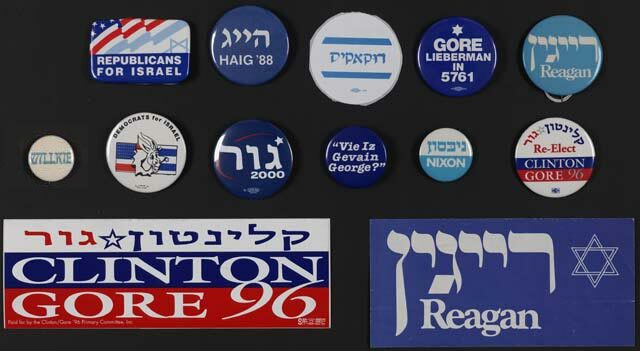 … [F]ewer Jewish voters in the primary could correlate to a lack of enthusiasm among Jews for the Republican field.